This is Erin's first show with VCCT but she has been involved in theatre since she was 8 years old. She has been in shows like Fiddler on the Roof, My Fair Lady, Kismet, and Beauty and the Beast, just to name a few . She was in Once On This Island presented by Elkhart Civic Theatre which won first place in the Indiana Community Theatre League Festival. 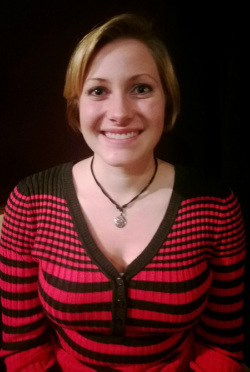 Erin is a Junior at Northern Illinois University studying mathematics. She will be moving to Lafayette, Indiana in the fall to finish her degree at Purdue University, she will then go on to get her master's degree in math to teach at the collegiate level. After taking a small hiatus, Erin is happy to be back on the stage performing again.